Patient suffers internal bleeding and cardiac arrest when surgeon negligently injures his aorta. Our client, Mr A, suffered from a cardiac arrest after his abdominal aorta artery was perforated during surgery to remove his appendix, leading to large internal bleeding. He required additional surgery to repair the damage, required a prolonged stay in hospital with a complicated recovery and suffered psychiatric harm. Mr A was admitted to Tunbridge Wells Hospital, Kent complaining of severe abdominal pain and vomiting. He was diagnosed with appendicitis and taken to surgery. A laparoscopic (keyhole) appendectomy (surgery to remove the appendix) was performed. Whilst in recovery, Mr A suffered a cardiac arrest and was returned to theatre. On performing a laparotomy (large incision down the abdomen), the surgeon found internal bleeding, caused by damage to Mr A’s aorta (largest artery in the body) and proximal jejunum (small intestine). The damage was repaired and Mr A was admitted to the Intensive Care Unit (ICU) to recover. Mr A remained in hospital for a prolonged period and his recovery on discharge was complicated. Mr A has sustained additional abdominal scarring and an increased risk in suffering an incisional hernia as a result of the laparotomy. He has also suffered an Adjustment Disorder. 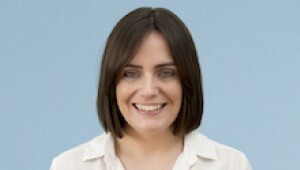 Mr A instructed Rebecca Morgan, who specialises in clinical negligence matters. Rebecca obtained Mr A’s medical records and instructed a Consultant General Surgeon, who reported on whether the surgeon performing the appendectomy was negligent. She subsequently served a letter of claim on Maidstone & Tunbridge Wells NHS Trust alleging that the surgeon negligently caused, or allowed one or more surgical instruments/access tubes to perforate Mr A’s abdominal aorta and small intestine. At the time of the surgery, Mr A was due to sit his GCSE’s but was prevented from doing so because of his prolonged recovery. This impacted on his results, in particular, his Maths GCSE, which will impact upon his future employment prospects. In addition, Mr A’s psychiatric condition prevented him from reaching his full potential in subsequent exams, necessitating him to re-sit his first year of college, thereby delaying when he can begin earning in full time employment. The defendant admitted the failures identified but disputed the extent to which these failings impacted upon Mr A’s future carer prospects. Rebecca successfully negotiated an out-of-court settlement of £37,500 prior to the need to issue court proceedings. Rebecca specialises in general surgery cases. If you would like to ask Rebecca a question about a potential case, or if you have a general query about clinical negligence, contact Rebecca at Thomson Snell & Passmore on 01892 701210.